A healthy person takes around 5,000 steps a day. As long as we are symptom-free, we hardly ever think of what our feet manage every day. But if they start to hurt, it soon becomes clear: our fitness depends on healthy feet. 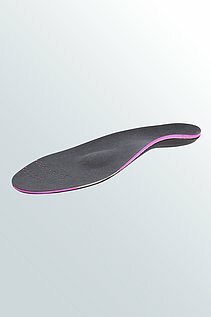 Orthopaedic insoles from medi support and relieve the arch of the foot and can gently correct deformities. The arch of the foot is held under tension by various muscles, tendons and ligaments. It acts like a shock absorber that distributes the weight of the body evenly. Weak foot muscles or overstrain can have negative effects on our posture. Deformities respond very well to treatment with modern orthopaedic insoles. These stabilise and correct the foot's architecture and keep us on our feet in everyday life, at work and during sports. 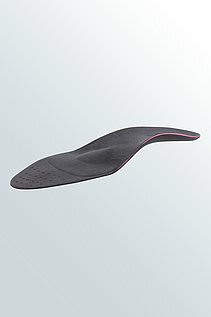 Orthopaedic insoles are ideally suited to easing various foot symptoms. 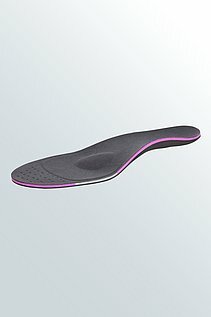 With their multizone technology, medi's Multizone insoles relieve stress exactly where the foot needs it – from the heel to the toes. 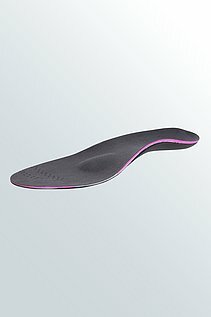 Different models offer the right care for every foot. They can be used to correct and treat simple deformities, such as a flat foot, or more complex cases, such as calcaneal spur and hallux rigidus.